Many people growing up hear tales of the Cherokee princess in their family, or a certain family member who was believed to have Native American blood. For those curious enough to do research and find out if the stories are true or not, there are many resources out there to assist you in your quest. A good resource to start with is the US Department of the Interior’s Guide to Tracing American Indian & Alaska Native Ancestry http://www.indianaffairs.gov/cs/groups/public/documents/text/idc-002619.pdf. This guide has great beginning genealogy information as well as information about benefits and services provided to Native Americans. 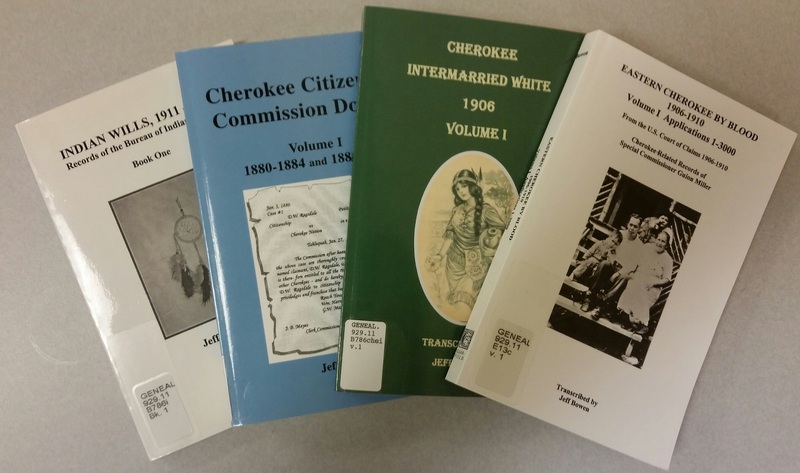 There is even a special section on tracing Cherokee Ancestry due to the amount of requests the Bureau receives. In the Genealogy Division we have many printed resources for researcher interested in investigating their family’s past. 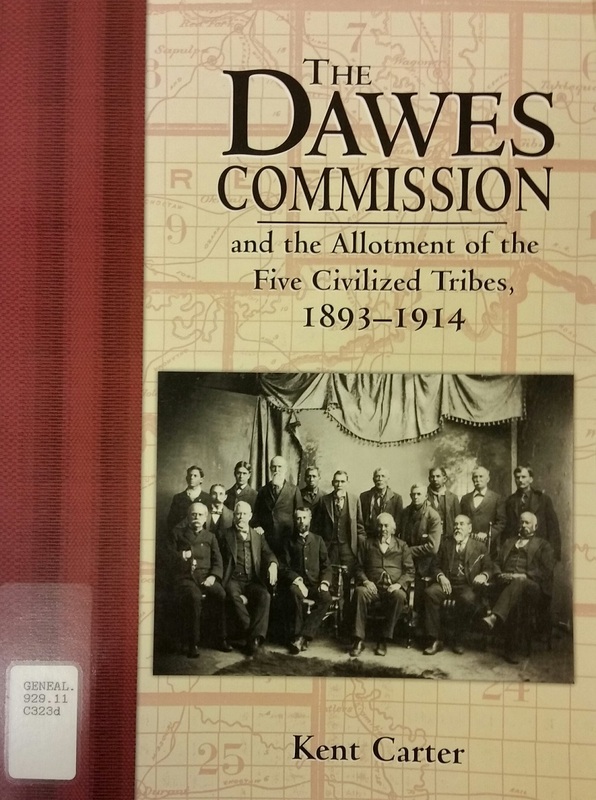 The Dawes Commission and the Allotment of the Five Civilized Tribes 1893-1914 by Kent Carter (G 929.11 C323d) covers the history of Dawes commission and prior registrations of Native Americans. It also mentions the fight between the government and some of the tribes over enrollment and how some people resisted enrollment. We also have many of the books transcribed by Jeff Bowen dealing with the Cherokee, Creek, Choctaws, Chickasaws and Seminoles. He has transcribed wills, commission dockets, enrollments and applications. Another series to look at is the Rejected Applications of the Guion Miller Roll of the Eastern Cherokee by Jo Ann Curls Page (G 929.11 P 132e v.1-3). In 1905 the US Court of Claims ruled in favor of the Eastern Cherokee tribe claim resulting in the appropriation of one million dollars to the Tribes eligible individuals. Guion Miller, an Agent with the Interior Department was appointed Commissioner and compiled a list of claimants from enrollments censuses and other records. These resources along with others can be found at http://www.in.gov/library/3233.htm or in our online catalog.